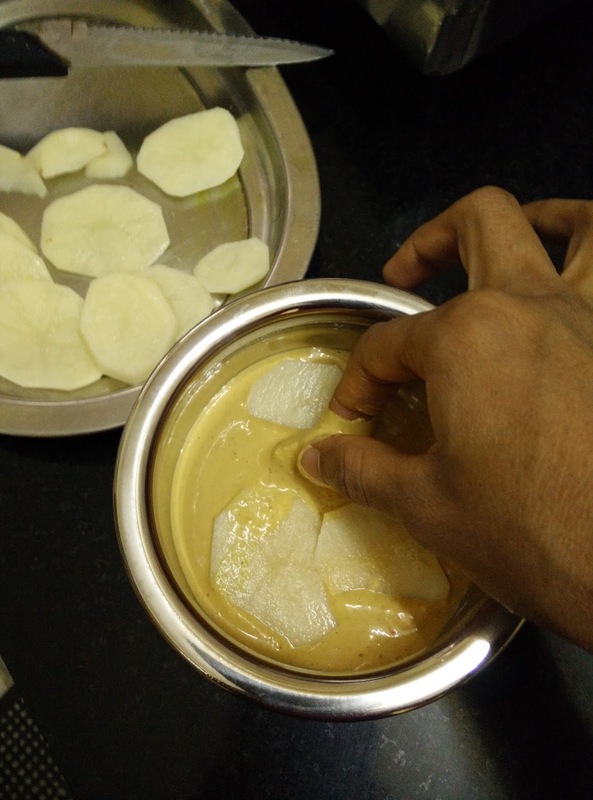 Peel the outer skin of Potato. Now chop them into thin slices. 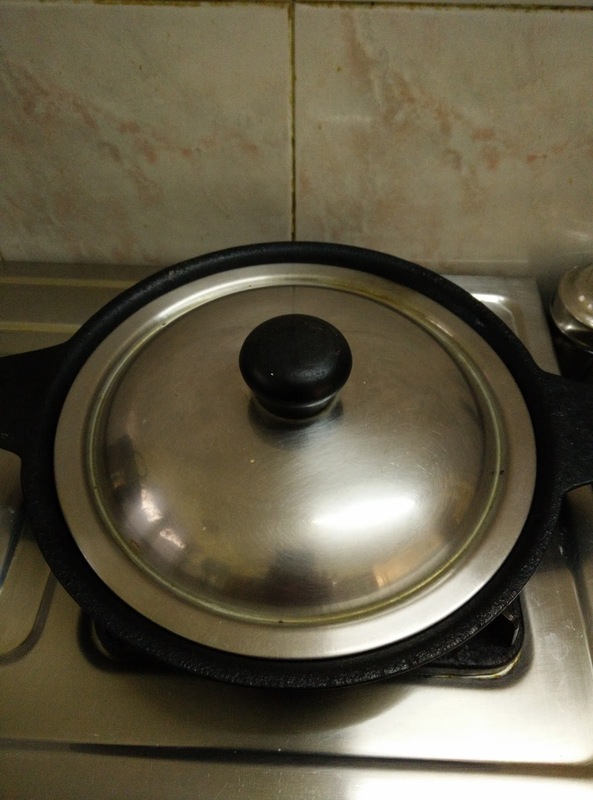 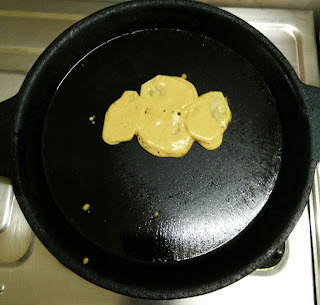 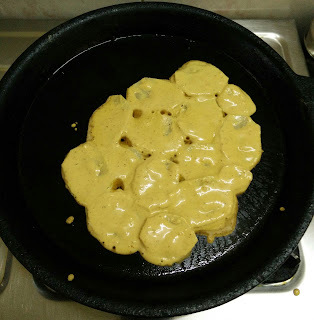 Drop these slices into the batter.Heat the dosa pan and grease with one tsp of oil. 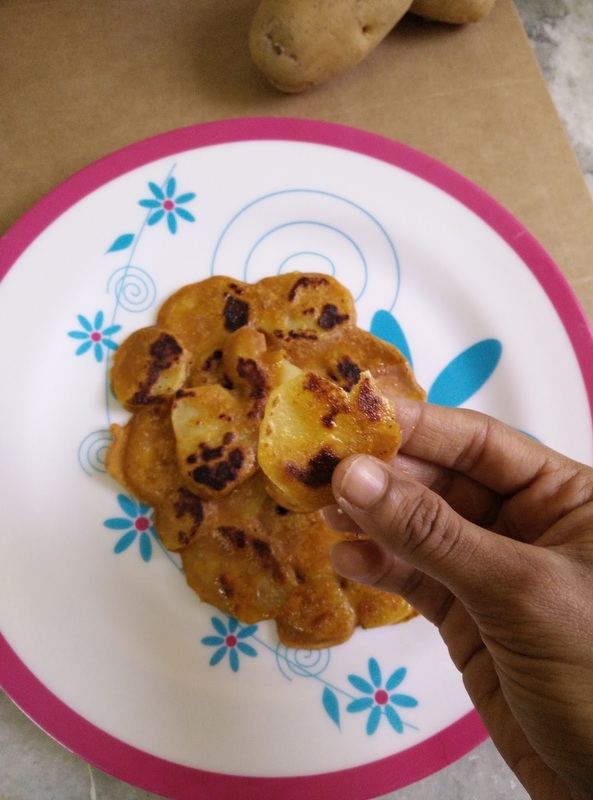 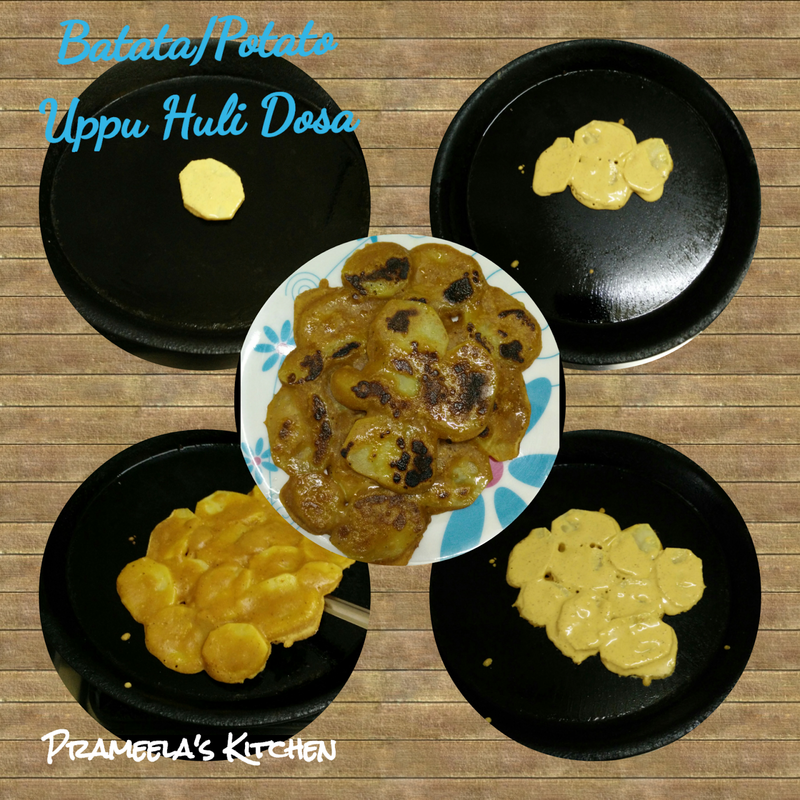 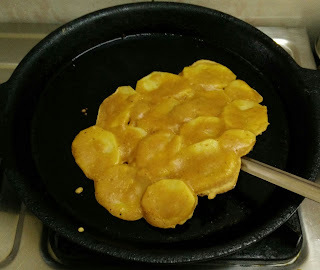 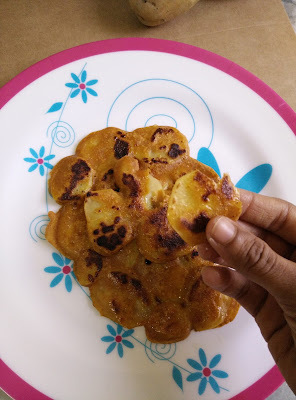 Thanks for going through my recipe , your feed back is always welcome :-).Kindly share the recipe with your friends and family if you like it .